Like little kids before Christmas look how anxious these bigs kids were to attack, “The Twelve Days of Christmas” themselves! January 20, 2012: 3:30-6:30pm Fitness Wave (click here) will be coming to the gym for hydrostatic body fat testing. This will be one component of the upcoming nutrition challenge and will allow us to set specific goals, as it relates to fat loss. The cost is $75 for two tests. One on this date and one at the end of the challenge to identify your progress (approx. 8 weeks later). January 21, 2012: CrossFit CrownTown Nutrition Challenge I; kickoff. Immediately following the 9am workout, we will have a lecture on nutrition where we will equip you with the tools to be successful. The lecture will end with a Paleo style potluck where we can all share recipes with one another (the more variety the better). January 21, 2012: Bring a friend/family member/co-worker Saturday. I will have a CrossFit workout that is conducive for people new to CrossFit, so they can try it out. There will be NO charge for this class. Think of people close to you who you believe may benefit from being a part of our program and family. 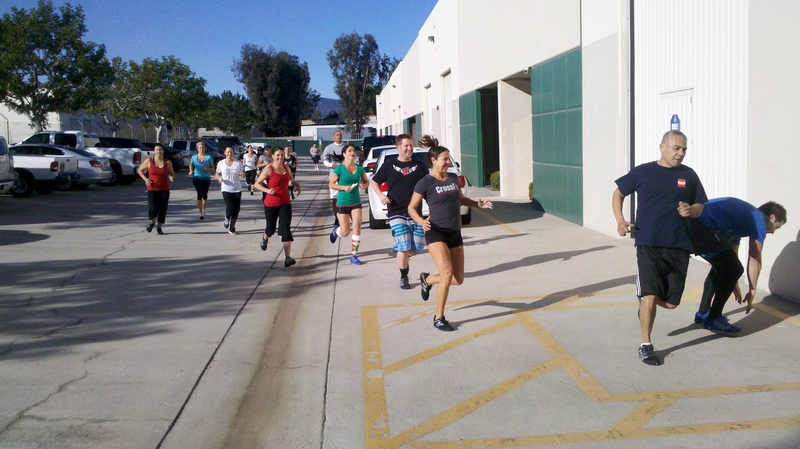 February 22, 2012: 2012 Reebok CrossFit Games season begins. February 1st registration begins. I’m going to recommend that ALL CrownTown members enter the worldwide competition. Here are the reasons why, 1) you get to see where you rank in your region, 2) you get to see where you rank in the world, 3) you get to see where you rank in your age group, 4) your results could benefit the affiliate team for CrownTown, 5) the workouts will be part of CrownTown’s normally scheduled WODs anyway. Reasons why not, 1) it costs $10 (unless they change it from last year). 5:1 pros to cons. Cool down: “Annie” for the Leader Board!